The stoves that cause household air pollution include open fires (think: campfires) that burn polluting fuels such as wood, coal, crop residues, animal dung, charcoal, and kerosene, in contrast to “clean fuels” that include natural gas and electricity. The type of polluting fuel used in a community depends on what is locally available in the area, either free (e.g. firewood from a nearby forest) or at a low cost to the consumer. There is consistent exposure to household air pollution from using polluting fuels for cooking, heating, and/or lighting on a daily basis. The majority of health research, conducted over the last two decades, has mainly been focused on pollution due to cooking. 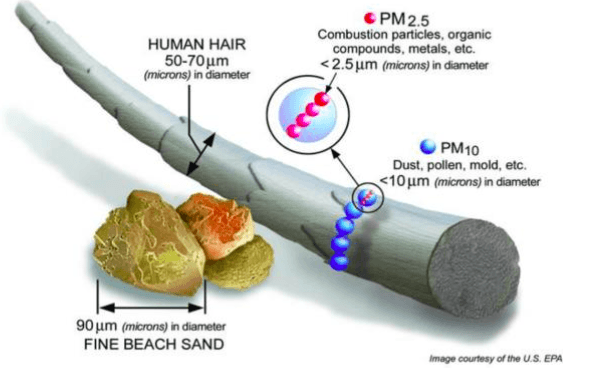 The contents in air pollution that individuals are exposed to is referred to as particulate matter (PM). PM consists of several small particles, each made of hundreds of chemicals. Since it would be too difficult to evaluate the health effects of particles due to the chemicals they contain, air pollution is mainly evaluated by the size of the particles. The aim of this study is to estimate the average daily PM2.5 concentrations from household air pollution for all countries globally. A better understanding of the PM2.5 concentrations in each country will allow health researchers to better estimate the number of respiratory and cardiovascular adverse events due to cooking. This is because the respiratory and cardiovascular health effects from household air pollution (in the health studies referenced in the paragraph above) are evaluated based on their relationship with PM2.5 concentrations in the cooking area that families are likely breathing in. This particular study combined PM2.5 measurements from over 40 peer-reviewed studies conducted in 13 countries to estimate countries for every country, globally. The data from all 40 studies have been compiled in a database that is publicly accessible on the World Health Organization website. More information about the database used in this study is available in the peer-reviewed article “Global household air pollution database: Kitchen concentrations and personal exposures of particulate matter and carbon monoxide” found here: https://www.ncbi.nlm.nih.gov/pmc/articles/PMC6231029/. 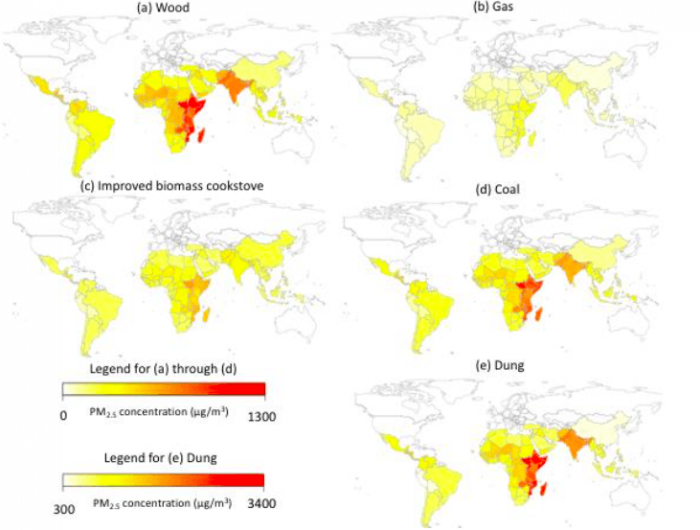 In this study, modeling techniques were used to generate a unique PM2.5 concentration for each type of cooking fuel in each country (Figure 4). You can see from Figure 4 that there are clear differences in the concentrations of PM2.5 emitted from different types of cooking fuel, and the concentration emitted from the same type of cooking fuel varies by country. The reason for this is that other factors like ambient air pollution,8 time spent in the kitchen, ventilation, and other socioeconomic factors affect the PM2.5 concentration in the kitchen. 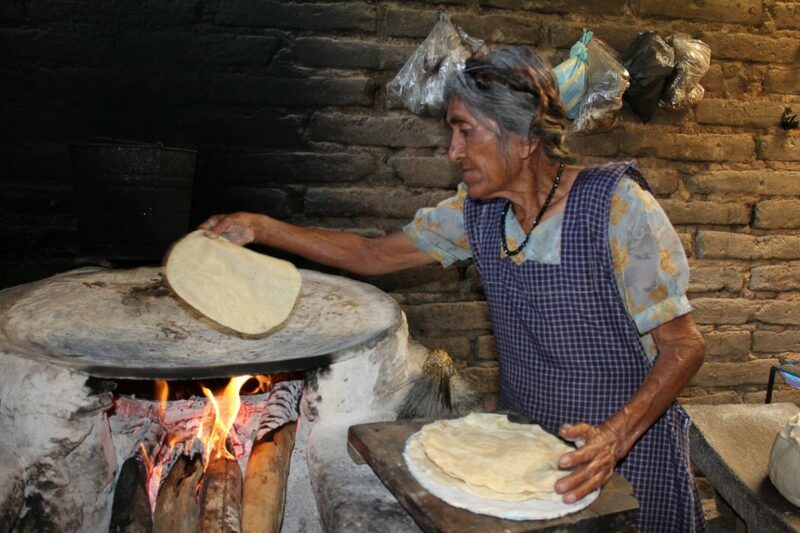 This study estimated that switching from a traditional wood to an improved biomass cookstove would reduce PM2.5 kitchen concentrations by an average of approximately 150 μg/m3 (395 to 251 μg/m3), while switching from a traditional wood stove to a gas stove would reduce PM2.5 kitchen concentrations by nearly twice that amount (395 μg/m3 to 104 μg/m3). While 104 is still above WHO guidelines, it represents a substantial decrease that may have improved health benefits. For reference, the typical ambient air pollution concentrations in the United States are usually in the range of 7-12 μg/m3. Thus, PM2.5 concentrations in kitchens with polluting cookstoves can represent a 10-fold increase above what the average US resident breathes. To reduce exposures from household air pollution to within levels deemed safe by WHO, more efforts are needed from various stakeholders, including stove designers, supply chain and manufacturing companies, governments, policymakers, health researchers, and community leaders. This will take large-scale increases in clean fueled stoves (gas and electric) and also a decrease in ambient air pollution in certain areas. The future is promising! There are several efforts by the Clean Cooking Alliance9 and other global partnerships10,11 to disseminate clean stoves to millions of households within the next decade. These findings are described in the article entitled Global estimation of exposure to fine particulate matter (PM2.5) from household air pollution, recently published in the journal Environment International. This work was conducted by Matthew Shupler and Paul Gustafson from the University of British Columbia, William Godwin and Joseph Frostad from the University of Washington, Raphael E. Arku from the University of British Columbia and the University of Massachusetts Amherst, and Michael Brauer from the University of British Columbia and the University of Washington. Health Effects Institute. State of Global Air 2018. 2018. Bonjour, S.; Adair-Rohani, H.; Wolf, J.; Bruce, N. G.; Mehta, S.; Prüss-Ustün, A.; Lahiff, M.; Rehfuess, E. A.; Mishra, V.; Smith, K. R. Solid Fuel Use for Household Cooking: Country and Regional Estimates for 1980–2010. Environ Health Perspect 2013, 121 (7), 784–790. https://ehp.niehs.nih.gov/action/cookieAbsent. Who Guidelines for Indoor Air Quality: Selected Pollutants; World Health Organization, Ed. ; WHO: Copenhagen, 2010. Dherani, M.; Pope, D.; Mascarenhas, M.; Smith, K. R.; Weber, M.; Bruce, N. Indoor Air Pollution from Unprocessed Solid Fuel Use and Pneumonia Risk in Children Aged under Five Years: A Systematic Review and Meta-Analysis. Bull World Health Organ 2008, 86 (5), 390–398. https://www.who.int/bulletin/volumes/86/5/07-044529.pdf. Po, J. Y.; FitzGerald, J. M.; Carlsten, C. Respiratory Disease Associated with Solid Biomass Fuel Exposure in Rural Women and Children: Systematic Review and Meta-Analysis. Thorax 2011, 66 (3), 232–239. Yu, K.; Qiu, G.; Chan, K.-H.; Lam, K.-B. H.; Kurmi, O. P.; Bennett, D. A.; Yu, C.; Pan, A.; Lv, J.; Guo, Y.; et al. Association of Solid Fuel Use With Risk of Cardiovascular and All-Cause Mortality in Rural China. JAMA 2018, 319 (13), 1351–1361. https://jamanetwork.com/journals/jama/fullarticle/2677446. Fatmi, Z.; Coggon, D. Coronary Heart Disease and Household Air Pollution from Use of Solid Fuel: A Systematic Review. British Medical Bulletin 2016, 118 (1), 91–109. https://academic.oup.com/bmb/article/118/1/91/1744771. Aunan, K.; Ma, Q.; Lund, M. T.; Wang, S. Population-Weighted Exposure to PM2.5 Pollution in China: An Integrated Approach. Environment International 2018, 120, 111–120. https://linkinghub.elsevier.com/retrieve/pii/S0160412018305397. Global Alliance for Clean Cook Stoves. 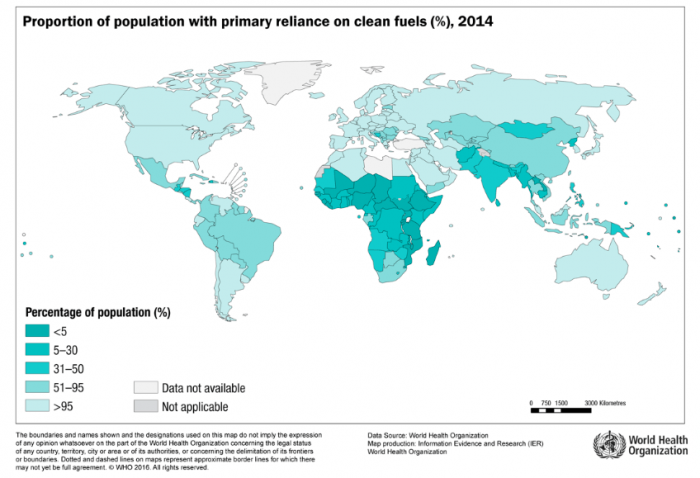 Igniting Change: A Strategy for Universal Adoption of Clean Cookstoves and Fuels https://www.cleancookingalliance.org/resources/272.html (accessed Sep 27, 2018). Rosenthal, J.; Balakrishnan, K.; Bruce, N.; Chambers, D.; Graham, J.; Jack, D.; Kline, L.; Masera, O.; Mehta, S.; Mercado, I. R.; et al. Implementation Science to Accelerate Clean Cooking for Public Health. Environ Health Perspect 2017, 125 (1), A3–A7. https://ehp.niehs.nih.gov/action/cookieAbsent. Bruce, N.; de Cuevas, R. A.; Cooper, J.; Enonchong, B.; Ronzi, S.; Puzzolo, E.; MBatchou, B.; Pope, D. The Government-Led Initiative for LPG Scale-up in Cameroon: Programme Development and Initial Evaluation. Energy for Sustainable Development 2018, 46, 103–110. https://linkinghub.elsevier.com/retrieve/pii/S0973082618302655. 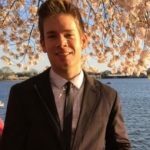 Matthew is a Ph.D. candidate at the University of British Columbia.